The EPA says Harley-Davidson’s been selling upgrade parts at dealerships that push the motorcycles’ emissions over the legal limit. H-D maintains the mods were designed for “competition use only,” but has decided to settle with a $12 million fine and a $3 million forced investment in “pollution mitigation” rather than fight regulators. Update: The headline was changed to make the situation more clear. Specifically they’re referring to the Harley-Davidson Pro Super Tuner, a factory upgrade part that essentially lets you dial up the fuel flow to make a bike run better with other modifications. For example, if you add a higher-flowing air intake and exhaust, you want more gas for a bigger boom. The Pro Super Tuner allows you to make that happen. Of course, more fuel burn means more pollution and that’s where the EPA comes in to take issue. H-D will pay a $12 million civil penalty to the EPA. H-D will stop selling the tuners by August 23. H-D will offer to buy back said tuners from dealerships stocking them. H-D will destroy all stocked tuners. H-D promises to test tuner-equipped motorcycles to be sold in the future. Harley didn’t actively try to trick the consumer here, they did disclose the consequences of installing the devices. But they also installed the devices, and now the EPA’s making them pay said consequences. Harley has apparently been selling the tuners since 2008 and the alleged 12,000 uncertified motorcycles in model years 2006, 2007 and 2008. Lots of aftermarket outfits sell exhaust pipes and other mods that render motorcycles (or cars) technically emissions-illegal without penalty. It seems that regulators are taking issue with H-D in particular because the company was selling their modifications at dealerships, probably installing them on new bikes there, and thereby effectively selling over-polluting bikes directly to customers. 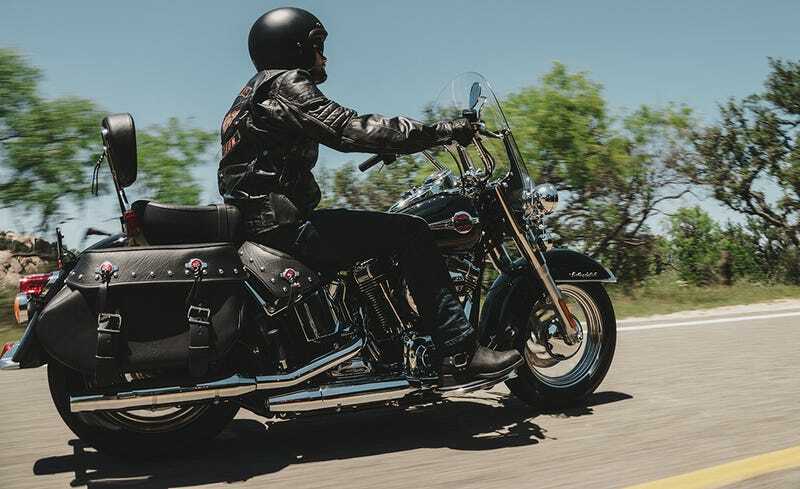 “A certificate of conformity covers only the motorcycle models that were included in the certification application and that are listed on the certificate. These 12,000 motorcycles were models that were not included in Harley-Davidson’s applications and that were not listed as covered by the relevant certificate,” the EPA stated. On top of the monetary penalties the company’s paying to settle, it will have to “immediately stop selling the tuners, buy back all of the tuners in stock at their dealerships and destroy the tuners.” No mention of whether or not customers who have bought the things in the last eight years will be refunded, but I suspect the answer is “no.” We will update the post if H-D elaborates. The Agency hasn’t specified or speculated on exactly how much pollution those upgraded bikes may have caused in total, but we’ve reached out to them too to ask and will update this post if they come back with a number. But obviously they figured they were better off paying up now than going into court, or they wouldn’t have consented to the penalty. No word yet from the EPA regarding whether or not they have their sights on you if you own one of these tuners on your Harley, but the company will not be buying it back if it’s already installed.